One Staff Solution offers highly trained, SIA licensed security guards. We provide security personnel for all types of retail outlets, warehouses, construction sites, trains, hospitals, hotels, corporate security and many more. No business can exist or grow without a safe and secure environment. One Staff Solution offers close protection services in London and the surrounding areas. We supply a full range of event security in London and the surrounding areas to many different well-known arenas, stadiums, amphitheatres, luxury 5* hotels, major concert venues and tours, high-level red carpet events and casinos, racetracks and political gatherings, private functions, crowd management, corporate events. 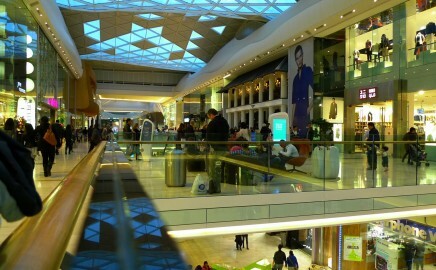 One Staff Solution offers highly trained, SIA Licensed retail security guards. The demand for improved security throughout retails sector is increasing as stores are facing tough challenges of keeping their stock safe while providing their customers with a pleasant, hassle free experience. The objectives of security company One Staff Solution Ltd are to ensure the needs of our clients are fulfilled whilst guarding person and property from those who attempt to harm through deploying committed security personnel equipped with the knowledge and the most advanced tools available.To acknowledge our clients and their requirements and to ensure the client’s needs are being satisfied by every action, procedure and determination. All employees, regardless their position, has the additional obligation of client relationship and to make every endeavor attainable to guarantee client satisfaction.To have a proactive rather than reactive attitude and to resolve problems before they develop. To always be proactive in utilising new methods and to integrate new technology into our everyday security operations. Always be open to suggestions of how to amend and improve security company practices and operations. 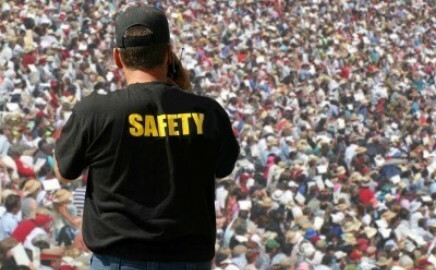 We supply a full range of event security in London and the surrounding areas. Stadiums, luxury hotels, major concert venues. Our retail security guards are competent and capable to assist in minimising merchandise loss at store. One Staff Solution provides private investigators service in London. We are able to accept a range of diverse investigations. Our bodyguards are available to all client groups, with their variable demands, circumstances & unique and sometimes unusual needs connected with their professions. Skilled security drivers and chauffeurs have a crucial function in any protection function. All our drivers have operated beside our close protection groups. We will make sure that your office buildings experience zero break-ins, that your retail outlets are theft-free and that your clients employees are safe. With the rising number of residential hooliganism, larceny, infuriating burglaries and in some cases kidnappings there’s a arising worry for household safety. If it is security related, we are your number one choice, so please call in confidence to discuss your requirements and how we may help. One Staff Solution Ltd aspires to be the number one security company, serving London and the surrounding areas. Don’t settle for less, when it comes to your personal safety and security of your property. We install and set up Surveillance Cameras, Intruder Alarms, Fire alarm systems, Door Entry Systems, Access Control, Wireless IP cameras.